Well. That comes as a bit of a surprise, doesn’t it? Jace, the Mind Sculptor, scourge of Standard, Modern ban list inaugural inductee, has at least one competently produced rap song written about him, is now legal in Modern. I’ve said for ages I think it’s a bad idea, and that even if they wanted to, the only way they could do it was with heavy reprint. We won’t know about the former for awhile, but with EMA last year and A25 (that’s Masters 25. What the hell, right?) a month away, Wizards decided the latter wasn’t a barrier any longer. Jaces were selling for $150 on the announcement and the cheapest copy is currently $130, so we’ll see about that. Bloodbraid Elf was released too, which is great in its own right. I’ve never been so sure about anything in my life as I am about Wizards having screwed up banning BBE in the first place. It was clear as day that the problem with Jund back then was Deathrite Shaman, and that got the axe one announcement later. I heard several people even muse about DRS’ future in Legacy this weekend. It’s incomprehensible how many mistakes had to happen to let it out the door, and shameful that Wizards wouldn’t ban it in Modern since even though it was clearly way too good for the format, Return to Ravnica was new at the time and they figured it was easier to get rid of an innocent bystander. Man I’m still angry about all of that. Adding Jace to Modern changes things in dramatic ways. When Golgari Grave-Troll was unbanned, you knew where to look. That card has a style. Jace though? If your deck makes blue mana, you’re going to find yourself considering it. And if it doesn’t add blue mana, you’ll consider adding blue so that you can add Jace. Think I’m kidding? Just wait. There are a million angles to consider, and I want to make sure some wild stuff ends up on your radar. First up is Temporal Mastery. I’ve long had this one on my radar, and I was real bummed when it was reprinted in Modern Masters 2017 this past year. That takes a little of the wind out of the sails, but only the most crazy prices. A solid gain is still on the table. You’ll remember that Temporal Mastery was a powerful card in Standard. It won Pro Tour Avacyn Restored, and it was floating around for awhile otherwise. (I particularly liked Reid Duke’s big temur list with four Primeval Titan.) It’s never made it into Modern though, outside of Taking Turns, because there isn’t a strong enough way to set it up. There isn’t even a sorcery-speed Brainstorm to work with. You had to do a lot of work to put this back on top of your library, and ultimately there was too much setup. With Jace back to the party, you get to brainstorm every dang turn. Draw Temporal Mastery on turn two or three and you’re completely happy with that, because you get to play Jace a turn earlier (or on time, if one of your lands is a tap land). Find it in your hand, and you can use Jace to put it back on top of your library for next turn. Getting back-to-back Jace activations can be enough to completely swing a game when you’re against the wall and you’re trying wrest control the board and lock your opponent out. Add in general casual appeal and the “it’s a time walk and they’re all popular” factor and it gets better. Don’t get me wrong, it’s the longest shot here today. That’s why it’s so spicy though. At $4, these will be easy to sneak out of trade binders if someone finds a way to work it and Jace into a list together. If that ends up being a real deck? $15 should be no problem. In Standard and Extended (remember that format?) I think the card with the highest coefficient with Jace was Celestial Colonnade. You never saw one without the other. Colonnade was especially great because it could protect your Jace as well as threaten others, all while resisting Jace’s bounce itself. It was something else. And it will be again. Of course, Colonnade is $60 today so uh, that ship has basically sailed. (I’m going to go look for mine, actually.) If it’s not in A25 (ugh) then the sky’s the limit I suppose, but we’ll hope that it is for now. If not Colonnade, what’s the next best land to explore? Creeping Tar Pit. It may come to pass that Tar Pit is even better than Colonnade in Modern. 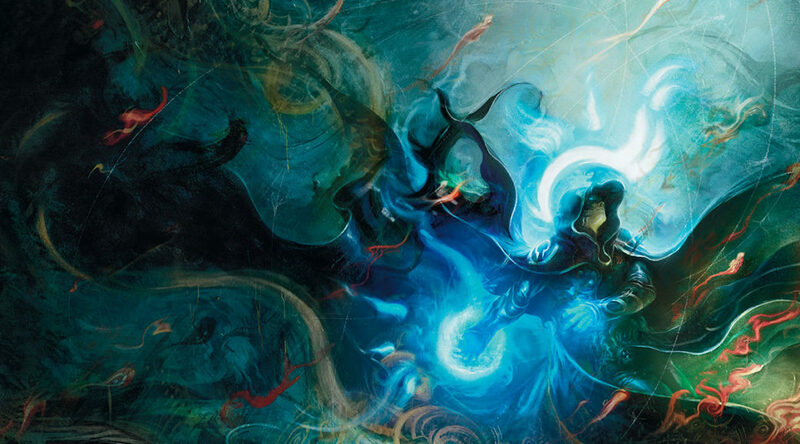 While there were a lot of important white spells in old Jace decks, that isn’t necessarily true today. Black is a serious contender in Modern between Thoughtseize, Inquisition, Fatal Push, Collective Brutality, and Liliana of the Veil. Your opponent going Thoughtseize, Liliana of the Veil, Jace is going to be lights out for a good number of decks.you’ve also got the angle that Tar Pit is unblockable. Colonnade’s flying is great, but in a format with no shortage of Inkmoth Nexus’ and Lingering Souls tokens, it’s possibly less able to connect when necessary. There are no such worries with Tar Pit. Will UB become the defacto Jace control build in Modern? I don’t know. I do know that Tar Pit is quite well positioned with Jace’s return though, and with a single Worldwake printing, no reprint in A25 would leave the ceiling wide open. We should probably talk a little about Bloodbraid Elf, right? Alright, well, this heralds the return of Boom//Bust, whic- oh, right. Ok well now you can hit Beck//Call and cas- oh. Maybe Breaking//En- nope not that either. God damnit, Forsythe. God. Damnit. It’s no secret that it didn’t really matter what you were cascading into with BBE. As long as your deck was full of good cards, things were going to work out well for you. That’s going to be mostly how this works out too. Hitting Liliana off their Bloodbraid is still going to be table-flipping maddening, but that’s not going to move the needle on Liliana. BBE gimmick builds will probably focus on land destruction for a long while. You’ve got Fulminator Mage, as well as Stone Rain, Blood Moon, Blood Sun, and whatever other denial of service you want to sleeve up. Excellent three mana spells are going to be better than they were though, and Kolaghan’s Command is poised to absorb much of that added demand. It’s a pretty loopy card, and even at its worst the value is excellent. It will be especially exciting when your opponent Thoughtseized an earlier BBE, and then you top deck a second BBE, cascade into Kommand, and return the first BBE. Eat it buddy. There’s seven non-foil NM vendors on TCG right now. If Kolaghan’s Command isn’t in A25, how is this not a $35+ card?